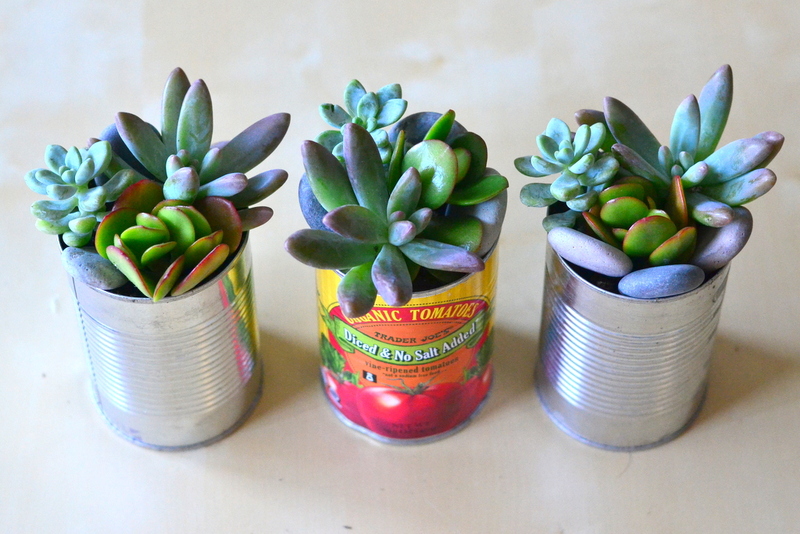 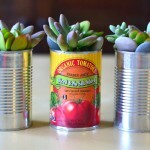 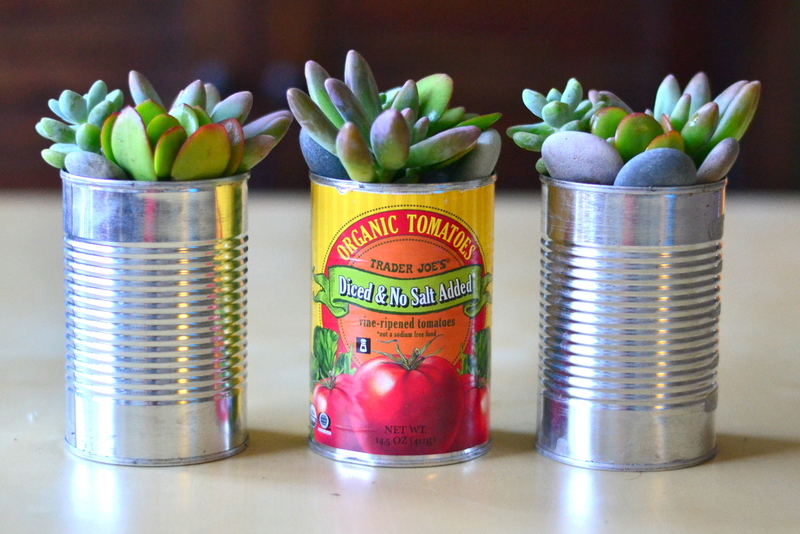 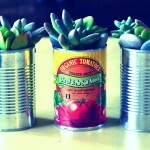 These cans would usually be tossed out or recycled, but now they are a vessel for a succulent arrangement. 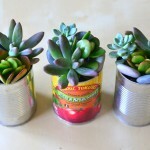 Assorted succulents tightly planted in the tin can, with some river rocks as an accent. 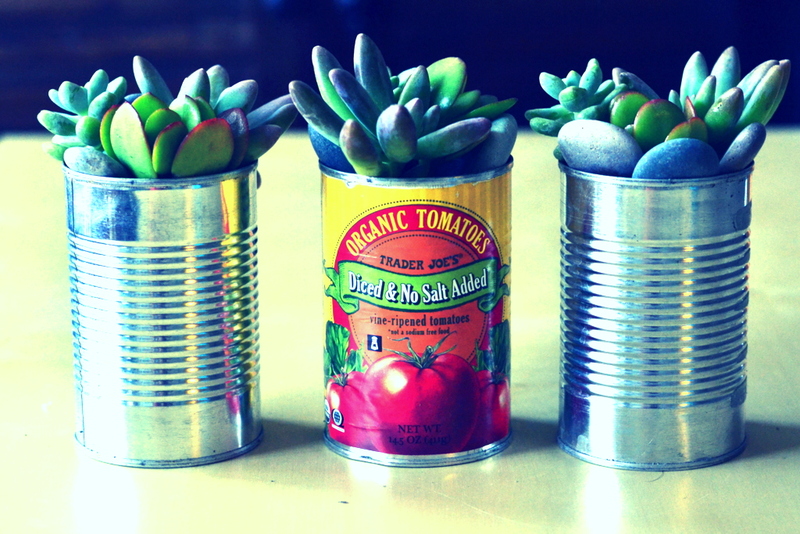 Suitable for indoors only.